Peter Avakian is a security consultant. After serving more than twenty years in the U.S. Army as a member of Special Forces, rising to the rank of lieutenant colonel, Avakian turned down an opportunity to transfer to the ultra-elite Delta Force and chose to retire. He then transformed his many years of experience as a security specialist into a private sector profession, traveling the world teaching diplomats and international businessmen how to not become prey to the many unpleasant people hunting targets of opportunity or, if unfortunate enough to get caught, act and react to increase the chances of survival. Avakian is good enough at his job to stay quite busy. Now in his early fifties, Avakian is well aware of the fact that he is no young turk, able to take on the world one-handed. He knows that even the victor can be bloodied and that pain truly hurts. He doesn't shy away from danger but he walks carefully nevertheless. The most interesting thing about Avakian is the way that he can sense upcoming trouble, gauge the severity of the danger, ready himself and others for what is about to happen, turn as much of the surroundings to his advantage as he can, be precipitous in his actions, and then deal with the aftermath as best as possible. He does so calmly and competently but he is at all times human and can make mistakes and can be forced to deal with them and the errors of others. Avakian's job is to spot trouble and to be able to avoid it or survive it. He knows how to fight and how to run. He knows fists and knives and guns and he knows that bringing the former to a fight with the latter is never a good idea. He also knows that sometimes the purchasing of a set of handcuffs is more about the key than the shackles. In Beijing on business, Peter Avakian is on a special dinner date when war erupts between China and Taiwan and chaos fills the street. Staying alive means getting out a country where any foreigner is a target. 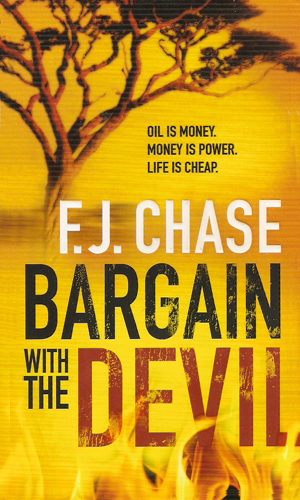 In Africa on another business assignment, Peter Avakian finds that just listening to a proposal is enough to make him a target and it will take more than his Special Forces training to keep him alive; it will need the help of a female CIA agent. I ABSOLUTELY could not put down the first book in the series. The flow of the book, from the time Avakian begins to sense trouble brewing to the time he is finally able to walk away still alive, is always done with such poise and skill as to make the reading an honor. The second was just as good and remarkably different from the first. 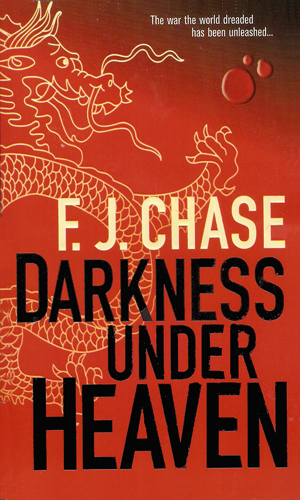 F.J. Chase is a penname for William Christie, author of another two-book spy series. I enjoyed those two books a lot and gave them a good grade but the two books in the Avakian series far exceed those earlier works. Clearly the man has perfected his craft.